For the Museum of Communication in The Hague Visualspace designes a brochure. 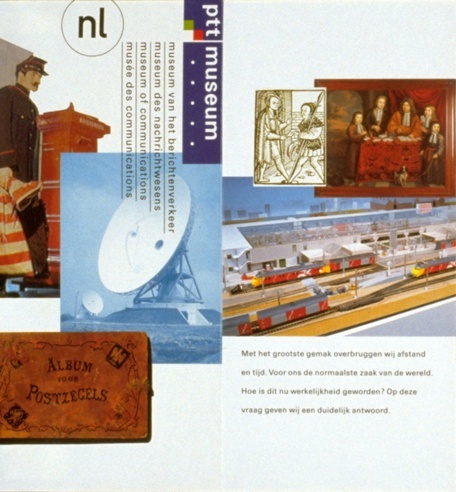 The brochure is meant to stimulate people such as students to visit the museum. The museum does not only offer a nice diversion, but also motivates students to consider a career in communication. The museum does not present the history of communication as a list of boring facts, but reads as a very exciting book.